Last week, we interviewed Eric Buckner, President of 10 Fitness. 10 Fitness is a chain of fitness clubs in the Arkansas area which has BEAM’s virtual playground installed in their kids’ clubs to keep kids entertained and engaged while parent workout. BEAM: Can you give an overview of your business? 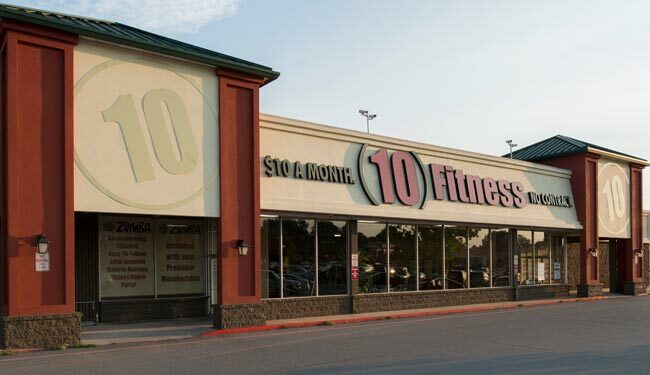 Eric, 10 Fitness: We are a small chain of health clubs in central Arkansas. We have nine locations, and most have a kids club, where parents can drop their kids off and we take care of them while they work out. We installed BEAM Interactive Games a few months back. What I really like about it is that it’s completely intuitive for the kids to play with, so we don’t have to monitor or facilitate it. It’s also clean, because they’re not actually touching anything. And it’s active, so it’s something we can offer the kids while their parents are exercising, instead of the kids just sitting there watching a movie or playing video games. BEAM: A lot of gyms have a no-kids policy. How did you come around to the idea that you want customers to bring their kids in and occupy them in a healthy way? Eric, 10 Fitness: We were just responding to the needs of our customers. So many people couldn’t come to the gym because they had to take care of the kids. Or we would have a husband and wife, and they couldn’t work out together because one of them would have to be at home watching the kids. So we wanted to make it really easy for the parents to come. And when we set up our kids’ clubs, we wanted to go beyond just making it a place that’s safe to making it a place that’s fun. That way, the kids would want to come, and it would be an encouragement for the parents to exercise. All the time, parents tell us that their kids will ask them if they can go to the gym. So it makes it easier for the parents to sustain a workout program, because the kids are happy and they really want to be there. BEAM: Wonderful. How did you guys become aware of BEAM’s virtual playground? Eric, 10 Fitness: I saw the video and loved it, and thought that it would be a great addition to our kids’ clubs. We called them and ordered six for different locations right away. BEAM: What caught your eye in the video? Eric, 10 Fitness: It just very clearly showed what the system is and that kids use it. I was looking for something where kids would be active but that wouldn’t take a whole lot of employee time and effort to facilitate. Normally in kids’ clubs, we’ve got a lot of toys, and everything is a circus that constantly needs to be wiped down because of germs. But with BEAM, all we’ve got to do is sweep the floor once the unit is off. I also really liked it that we could automate it to just come on when our kids’ clubs are open. It’s also great that there is a bunch of different games. We’ve got it set up so a new game comes on every three minutes, so kids don’t get bored. BEAM: How would you say BEAM affects your business operations? Eric, 10 Fitness: To me, BEAM is a wow factor for when customers are getting a tour of the club. Parents immediately get it: “wow, my kid would love that.” I think it has contributed to the bottom line. Even though we’re paying for it, because it doesn’t have to be monitored, we save money on our staffing. You don’t have to staff it, because the games are intuitive and don’t have to be monitored. It’s paying for itself and making us money, because there are people who sign up for the kids club, knowing their kids will be happy. BEAM: How are the games? Eric, 10 Fitness: I love the games that you have, how simple and intuitive they are. I’ve got a two year old and she knows what to do on it. That’s the magic of it-that it’s so simple and kids just start playing.